We The Business Records presents Edo State born fast rising young reggae/dancehall artiste and songwriter Kelly Imadegbelo popularly referred to as Caesar Udonno Killah Kelly The Fyah Pan who started singing at a very young age and recently signed to We The Business Records. He is musically influenced by the greats likes of Majek Fashek, Vybz Kartel, Buju Banton, Lucky Dube, Mavado and Sizzla Kalonji .An extremely versatile artiste with the ability to infuse various genres in his music, undermining being a dancehall artiste. 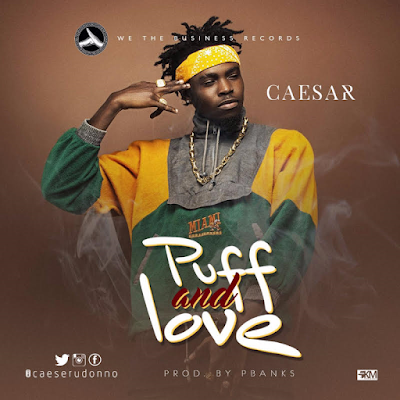 Caesar debuts with this catchy tune calledPuff n Love" featuring TeepsyGee. The song was produced by Pbanks the beat maker and mixed/mastered by Chekwas.